Time to get those boats out of hibernation and back in business. Come down and help flip boats back into working order.. officially opening us up for the sailing season! We welcome all members (returning and new) to come down for a light lunch and hear an update about the club - what's planned for the 2019 season! 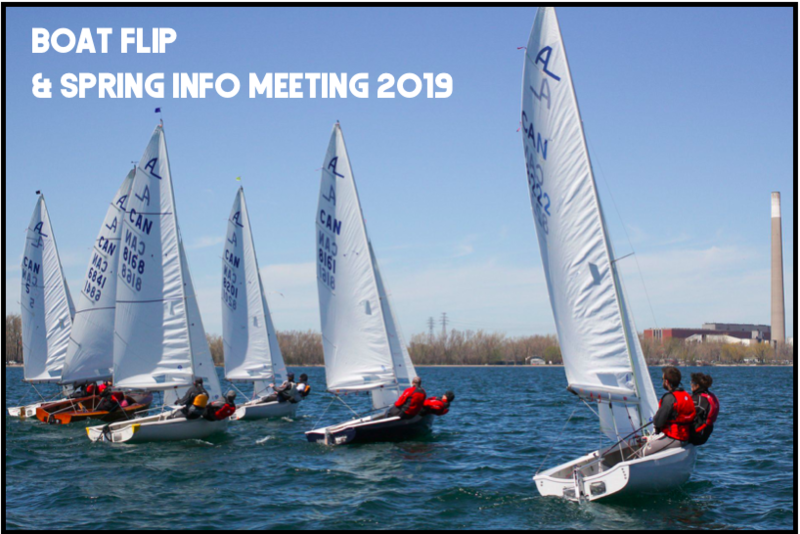 This is a great opportunity to meet members, the board, ask questions and hear about some of the great sailing and social events coming up. Please register so we know how much to provide for lunch! Hope to see lots of people there!